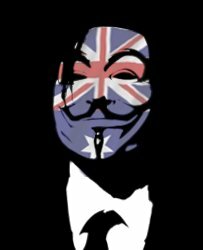 The official website of South African Police Service has been breached by the Anonymous hacktivist with online name "DomainerAnon". "This action is to serve as a reminder to the government regarding the murders of 34 protesting miners outside the Marikana platinum mine by police. "Hacker stated as reason for the attack. "To date no officers have been brought to justice... This situation will NOT be tolerated. #OpMarikanaMiners"
The hacker provided a link to the database dump(pastebay.com/1232460) that includes Usernames, hashed passwords, Telephone numbers and few other details. He also shared a 13Mb size file named "EMAILS.csv" in the DatafileHost which is said to be contain emails.